*SPOILER ALERT* Ever get a really bad ending, but don’t know what you could’ve done better? Fear not! This Guide helps show you your ending options, and which best to choose. Do you have problems getting a good ending, or maybe you want to look up a better ending, but the wiki is virus-infested? Fear not! This guide is for you. Before reading any further, please be warned that this guide has many potential spoilers for the ending, so please do not read any further if you want to figure it all out first. This slide is the introduction. It will not change no matter what you do, so you don’t need to worry about this slide. NCR, Independent, Mr. House, or Caesar’s legion. I’ll let you draw your own conclusions for each faction. Whoever you choose, it will be favorable to your side, and shouldn’t have to worry much about it. However, if you work for independent or Caesar’s Legion, you will have a choice, which will change the outcome of this slide. If you work for an independent new vegas, then Yes Man will tell you about a bunker, which you can use to upgrade the securitron army, but it’s not required. If you choose to go through with the upgrade, then all of the securitrons will be upgraded to the mark II OS, which makes them stronger. The Securitrons will end all resistance. If you don’t upgrade the army, then the securitrons are hard-pressed to defend the strip from anarchy, and will stand in the end. If you work for Caesar’s Legion, Caesar will be noticeably sick, and will eventually ask for your help. You can either cause him to die from this sickness, or save his life. If you save him, then he will walk into the strip. If you kill him, then legate Lanius will become the new Caesar per se. Some endings are affected by Caesar living or dying. Usually, Caesar is more cautious. Lanius is more reckless and violent. Good: You are fair and kind in your wasteland dealings. Neutral: You are a mercenary at heart. Bad: You are the meanest of them all. The wording and picture on the slide changes. This isn’t much to worry about either, unless you want Neutral Karma. Just try to balance your good and bad dealings. If you want good, don’t do bad things. If you want bad, do lots and lots of bad things, like murder, and stealing. This slide is affected slightly by Caesar dying, but mainly the picture. Alright. This slide is based mainly on the quest Crazy Crazy Crazy. You may have heard the Black Mountain Radio Station. This radio station, if you tune in, is very strange. In order to get the quest Crazy Crazy Crazy, go find Neil’s Shack, or ignore it and go up Black Mountain on your own, and do whatever. A radio Tower, a prison building, a storehouse, and the main radio building. So, which do you enter? The prison building is important, but I’d recommend going to the storehouse first. Inside, you will find a broken Mr. Handy, close to the back of the room. If you repair it, and start it back up again, it will ask you to lead it to Mistress Tabitha, the leader at black mountain. Once you walk outside, Tabitha will be shocked and grateful to see her Mr. Handy, Rhonda, working again. They will then leave black mountain forever. Little Tip, Rhonda will give you one key, but I recommend pickpocketing the other key as well, for future quests, and more stuff. Tabitha and Rhonda will head into Caesar’s Land. Stories were spread back west, but few believed them. The stories are collected and published, and were quite popular with children. If you free the prisoner and spare Tabitha, then Tabitha will be angered and take all of the nightkin and disappear entirely. Travelers are attacked along the roads at night by unseen attackers, and travelers avoid the roads at night. If you kill Tabitha, regardless of what happens, Super Mutants and Nightkin will come to Black Mountain to find no trace of it’s existence. They leave, disheartened. Or, you can just not approach Black Mountain, which ends that Black Mountain Radio will keep on playing, calling Super Mutants and Nightkin alike for a long time, and attack humans on the road. The prisoner faces his execution every day, eventually pardoned in the end. This leaves the problems unresolved. You remember the prisoner I was talking about? He’s an old ghoul named Raul Tejada. You can acquire him as a follower. Something all followers in this game have are personal quests. These quests will yield a certain upgrade to your follower. Some are harder than others, and Raul’s is very hard, not because the quest is difficult, but the quest is very buggy, and has a lot of glitches. Thankfully, most of these glitches can be fixed by the console, by simply skipping past certain events. Loyal, who is based at Nellis Airforce Base. Corporal Sterling, who is part of the NCR, and based at Camp McCarran. If you completed Three-Card bounty, and killed Motor-Runner, he will be at Camp Forlorn Hope. Ranger Andy, who once was part of the NCR, and lives in Novac. You don’t have to talk to them in that order. Raul will talk about them and ask for your opinion. Be careful what you say, as it can sometimes break the quest. It can also influence Raul’s Decision. Raul says he used to be a gunner, then became a repairman. So, do you want him to pick up his guns, or become a repairman? When I said influence his decision, I mean that one of his options will have a dialogue check, the other will not. If you tell him to become a gunslinger again, stories about him will spread throughout the wasteland. If you tell him to settle down, and just be ok with retiring, then he will spend the rest of his days fixing ancient tech. You can also not complete the quest, which will have him leave the wasteland and change his name again, being discomforted by a lack of usefulness now that he’s growing old. which just leaves the problem unresolved. Or you can just kill Raul. The boomers are a group of paranoid people who are based at nellis air force base. When I say paranoid, I mean paranoid. They will launch rockets at people who get too close to Nellis. They will only let you in if you can get passed their barrage of rockets. However paranoid they are, however, they have very advanced tech. They have access to VR pods, which have trained them how to fly planes, despite never flying any. Most of the boomers have pip-boys as well. The boomers are actually wanted by all four factions. Because of this, the boomers can get a relatively good ending regardless of what side you’re on. The quest you need to complete is mainly Volare!, and then whatever side you fight with will change the ending. If you side with the NCR, the boomers start trading with the gun runners, and eventually wander out into the wasteland. However, they still keep people out of Nellis. If you side with Mr. House, the boomers will still wander out into the wasteland, while still keeping people out. However, they do not trade with the gun runners, and Mr. House is just uninterested in them, and leaves them alone. If you side with an Independent New Vegas, they stay cooped up inside Nellis, and dissuade people from attempting to penetrate Nellis. If you side with Caesar’s Legion, the boomers stay in Nellis. Caesar lets them keep their freedom. The boomers can be seen flying over the wasteland from time to time. However, there is another set of endings you can get. I have only tested this with Caesar’s Legion, but once you tell your leader you got the boomers support, you can go back to Nellis, and kill off Mother Pearl (and only Mother Pearl) for an entirely different ending. 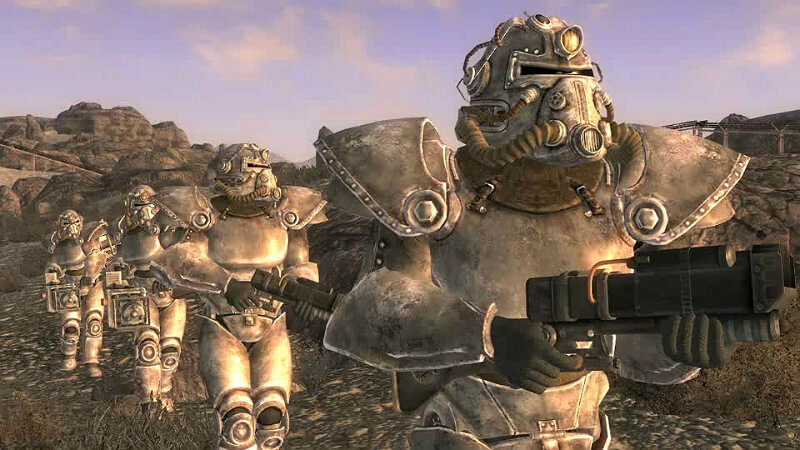 If you do this with the NCR, they stay fortified, and repel many attacks against them from the NCR. However, they lack gunpowder to keep it up, so they begin trading with the gun runners. If you do this with Mr. House, same results as before, except that they don’t wander out into the wasteland. Again, Mr. House is uninterested, and leaves them alone. If you do this for an independent New Vegas, not much changes. They still stay fortified and stuff. Caesar’s Legion has a drastically different outcome. The boomers remain fortified, and the legion mounts many attacks against the boomers. The boomers tried to hold them off, but were breached, and enslaved. The boomers’ identity was erased from memory. Finally, you can just be all evil and stuff and just kill them all off. The Brotherhood of Steel is perhaps one of my favorite lesser tribes in the wasteland. A little closed-minded about some things, like technology, they can be very well-liked. The brotherhood of Steel takes any technology they deem too advanced for other humans, and keep it for themselves. Power Armor and Energy Weapons are common things they like. Despite the fact that they confiscate this stuff, they are practically non-existent in the Mojave. Almost no one remembers them. The Brotherhood has remained Isolated since the NCR drove them from Helios One. They would’ve died that day had it not been for McNamara, who later became Elder because of this. The big quest you need to complete is Eyesight to the Blind for a brotherhood ending. One thing to note about the Brotherhood is that there is no way possible to side them with Mr. House or Caesar’s Legion. They will have you destroy the bunker they are located in, but it is possible for Caesar’s Legion to not destroy the bunker, or spare them temporarily, but they will all die in the end. Also, due to an oversight, if you form an independent new vegas, if you upgrade the securitron army, the brotherhood’s slide will be absent. You can destroy the bunker, killing all of the Brotherhood. Ironically, the NCR can form an official truce, but only if McNamara is still in charge. If you place Hardin on the throne of the Brotherhood, then you will be forced to kill them, as he will not make a truce between the two. The truce causes the NCR to hand over all salvaged power armor, and in exchange, the brotherhood would patrol major trade routes. You can spare the Brotherhood with an Independent New Vegas. If you completed Tend to your business, then this will cause them to take back Helios One, and then harass people over any technology they have. You can also make a truce between the NCR and Brotherhood, then fight for an independent new vegas. Should this happen, the brotherhood will allow the NCR to retreat without incident, then patrol major trade routes and, like before, harass people over any technology they had. If you decide to not blow up the bunker as Caesar’s Legion, then the brotherhood will take over Helios One, but then the Legion will return, removing them from Helios One and Hidden Valley. Veronica is a Brotherhood Scribe at the 188 Trading Post. She gets food for her family, and sees exactly what’s going on outside. Veronica is a little disappointed at the Brotherhood, as she wants them to change from their ways. They don’t allow the outside world into the Brotherhood. Veronica knows the brotherhood will die out, and wants no part of their destruction. Casa Madrid Apartments: Some of Tom Anderson’s lines, like asking him what you do here, and he responds “I’m with the Follwers of the Apocalypse…”, and the lines about him murdering Corporal White in the quest The White Wash. Vault 3: If you walk about halfway down the ramp leading into the Fiend-infested vault. Nelson/Cottonwood Cove/The Fort: Observing the Legion camps. They share a trigger, so you cannot go to all three to trigger the dialogue. Nellis Air Force Base Boomer Museum: While listening to Pete’s history lecture, the last line will trigger Veronica’s Dialogue. REPCONN test site: When Jason Bright says “We wish to escape the barbarity of the wasteland…” during Come Fly With Me. Once you have done three of these, the quest starts and it all becomes clear. Once it’s all done though, Veronica has a choice to make: Stay with the Brotherhood or leave and join the Followers of the Apocalypse. If she leaves and you make a truce between the brotherhood and NCR, then Veronica will become a scavenger. She will remain friendly with surface patrols, but will never again enter the bunker. Reports would come up of old equipment miraculously repaired and research notes mysteriously completed. 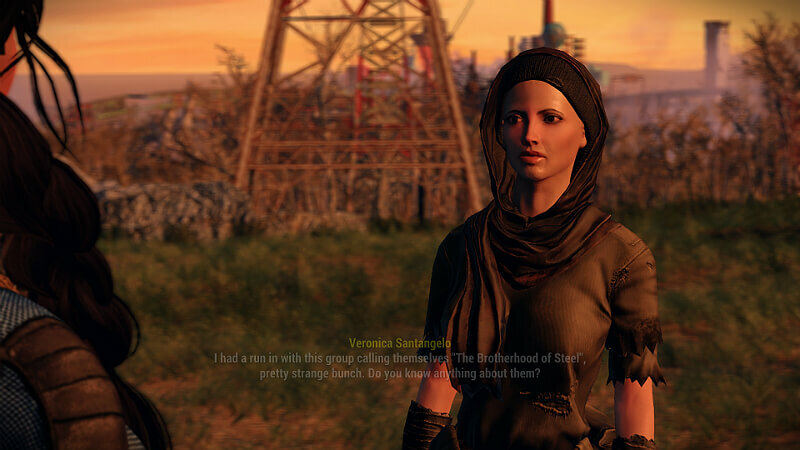 If she stays and you make a truce between the brotherhood and NCR, then Veronica will notice a distance emerging between her and the brotherhood that would never be breached. She begins reading about promising technology she knew the Brotherhood would never adopt. If she leaves and you blow up the bunker, then she will be devastated. She will make one last pilgrimage to the destroyed bunker, and pays her respects. If she stays and you blow up the bunker, she feels lost. However, she takes comfort that she stayed with the brotherhood for the few remaining days. If she leaves and you spare the brotherhood for an independent new vegas, then she will be troubled by the brotherhood’s aggression, but it erased all doubt in her mind that she made the right choice. She will be discouraged however, less in hopes of finding a new home than of leaving the memories of the old one behind. If she stays and you spare the brotherhood for an independent new vegas, then she supports the brotherhood’s aggression, but she knew that their end would follow soon. The Fiends are a group of pumped-up chem-addicted murdering criminal psycopaths. The fiends are very dangerous, and will attack you, unless you go into vault 3 and pass the speech-check. However, even if you pass that speech check, the ones on the outside will still attack you. The Fiends mainly deals with how many fiend leaders are still alive. You have to kill three of them if you complete the quest three-card bounty. They are: Cook-Cook, Violet, and Driver Nephi. Motor-Runner, the last fiend leader, resides in Vault 3. 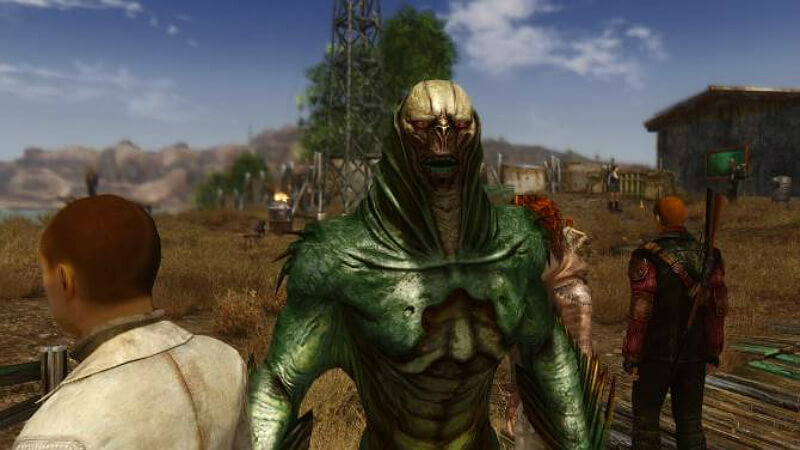 If you don’t kill any of the fiend leaders, the NCR will repulse their attack on Camp McCarran, but the NCR will suffer heavy casualties in the process. If some of the leaders, but not all remain alive, then the fiends attack will be repulsed with minimal losses, and the remaining leaders will be destroyed for good, breaking their power forever. 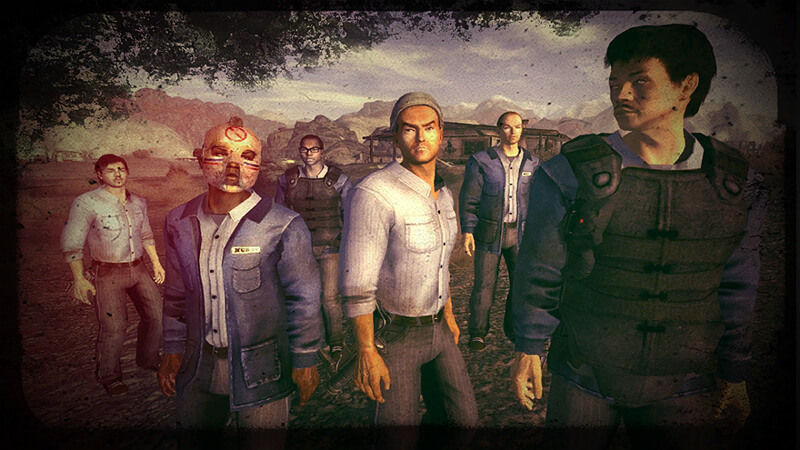 If at least two fiend leaders remain alive, the Fiends overwhelm many NCR troopers before Mr. House can deal with them. If you kill exactly three fiend leaders, the fiends are repulsed by the NCR with minimal loses. Mr. House then asserts control and destroys the fiends entirely. If all of the fiends remain alive, the fiends overrun Camp McCarran, and assume control of outer vegas. If some of them remain alive, the fiends suffer heavy losses, but overrun McCarran. They were a nuisance throughout outer vegas, but never assumed full control. If all or some of the fiends remain alive, the fiends attack McCarran and suffer heavy loses. Caesar is unimpressed with their performance and dependence on chems, and has them exterminated. If you kill all of the fiend leaders, the fiends are scattered throughout the wasteland, and become easy prey. The Followers aim to help those who are in need. They are trained doctors mainly based in freeside at the Old Mormon Fort, but are based elsewhere too. They don’t care much for the NCR, due to their expansion and wealth, but they don’t care much for Caesar’s Legion either, as they are slavers, and that Caesar was one of them once. They are fascinated by Mr. House’s Life-extending tech, and want some so they can save lives. The followers can be convinced to send their support to NCR, which plays a minor role in the actual battle, as they provide some med-kits with stim-paks and other good stuff. However, it is not a marked quest, and they will not ask you to get Follower support. So, in order to get follower support, you need to be Idolized by the followers. Some things that may help you achieve that are donating rad-aways, med-x, and fixer, finding a constant supplier of medicine to the followers, helping some local freesiders kick their addictions to the curb, rerouting the solar power at Helios One to Freeside, Bugging Mr. Houses mainframe during The Moon Comes Over the Tower, and, during The White Wash, not turning Tom Anderson in to the NCR. These things will make you Idolized by the Followers, and give you the opportunity to join them. Once you do that, after the quest You’ll Know it When it Happens, you can tell Julie Farkas to support the NCR in the upcoming battle of Hoover Dam. It will take some convincing, but if you succeed, Old Mormon Fort will become a haven for those less fortunate in New Vegas. If you don’t convince the follower to help the NCR, the NCR will have them removed from Old Mormon Fort. 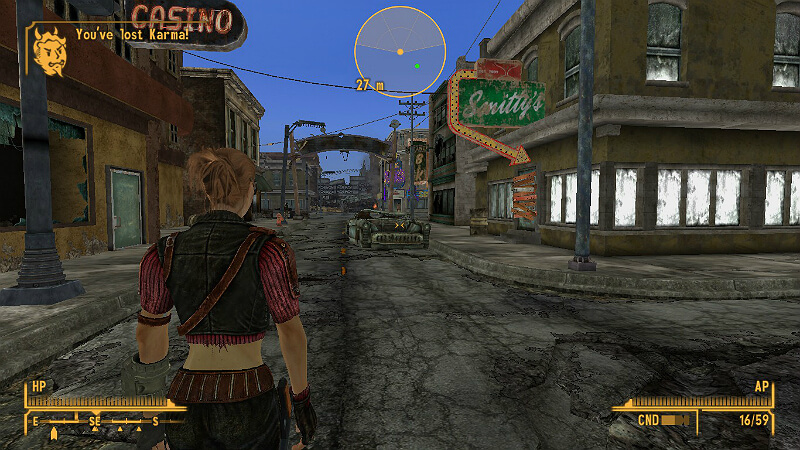 If you are working for Mr. House or Independent New Vegas, then Freeside will become more unstable than before, and the follower will have trouble keeping up on the influx of patience, and will struggle to provide even the most basic of services. If you are working for Caesar’s Legion, and Caesar is alive, then Caesar will allow them to leave alive, out of a strange old respect for his former colleages. If Caesar is dead, then Legate Lanius will destroy the Followers, and Old Mormon Fort. If you kill of Julie Farkas, then the follower lose control of Old Mormon Fort, and it becomes a junkie drug den. Arcade Gannon is a doctor at Old Mormon Fort. Through some dialogue, you can get him to be your companion. 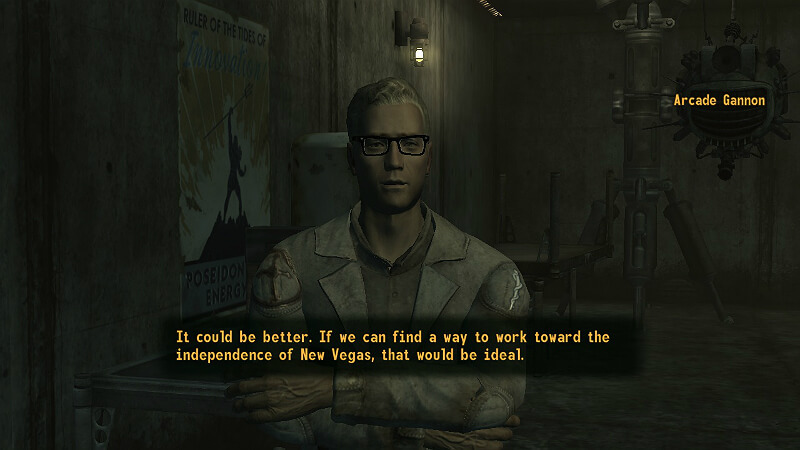 He tells you that the situation right now could be better, but that he wants an independent new vegas, meaning no NCR, no Mr. House, and no Legion. However, he says that as long as you aren’t working for the Legion, he’ll support you. NCR: For the Republic part 2: Tell Colonel Moore that Mr. House has been killed or disconnected. Independent New Vegas: Wild Card: Change in Management: Kill or Disable Mr. House and tell Yes Man you’re ready to meet him in the Lucky 38. Once you do one of these triggers, then the second step is to accumulate two “like points”. It doesn’t matter if you got a like point before or after these triggers were completed, just that you have them. Arcade gives you a like point or two once he comments on something, and your response. Let me show you what things accumulate “like points”. 1 point for going to the Crashed Vertibert. 1 point for going to Silver Rush in Freeside. 1 point for going to the REPCONN Headquarters. Saying “Let’s just listen to him, figure out what he’s up to, and get out” gets 2 like points. Any other quest gets 1 like point. Saying “I don’t think either of us can fully understand what he and his tribes have gone through” gets 2 like points. Any other options get 1 like point. After talking with Thomas Hildern and he says googbye or wrong turn, saying “Good thing there are still people like you around” gets 2 points. Any other options gets 1 point. During That Lucky Old Sun, after speaking to Fantastic for the first time, saying “Of course grants 1 point. Saying the other option requires an intelligence check of 7, so be careful. During The White Wash, telling Tom Anderson you will blame Corporal White’s Death on the Scorpions Gang will grant 2 points. Any decision with Tom Anderson grants 1 point. If you kill Tom Anderson, you need to pass an intelligence check of 7 to get a point. Alternatively, if you complete the quest Wild Card: Finishing Touches and you install the override chip at the El Dorado Substation with Arcade Gannon with you, you can skip the whole like points thing entirely. Anyway, after getting two like points, Arcade will talk to you about recruiting the Remnants of the Enclave, saying his father was part of it at the Navarro outpost. After recruiting the Remnants, Arcade will talk to you about them, and there are two responses you can do: People can’t or shouldn’t let go of their past, and the other saying they should. Depending on your response each time will influence his decision to fight at Hoover Dam, or Stay in Freeside. He will stay in Freeside if you told him more to let go of his past. However, if you told him more to not let go, he will be more inclined to fight at hoover dam. However, you can also pass a speech-check to get the other option if you don’t want the decision he is inclined to. 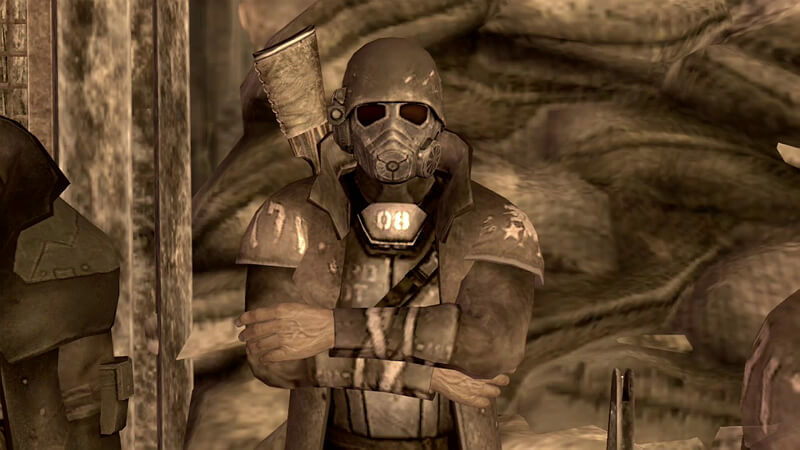 If you side with the NCR and advise Arcade to aid the Remnants, word will spread that he was once a member of the Enclave. He will be forced out by the followers, and pursued by bounty hunters, NCR rangers, and the Brotherhood of Steel. He will be pushed east and will never be heard from again. 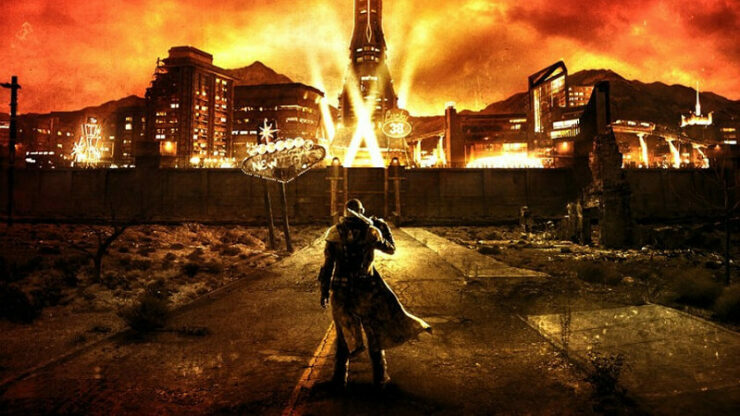 If you side with the NCR and advise Arcade to stay with the Followers, he will be a little upset that New Vegas wasn’t independent, but he was glad the Legion was destroyed. He helped those in need for awhile longer, then moved to NCR territory to be a teacher with the followers there. If you side with the legion, advise the remnants to help the NCR, and advise Arcade to help the Remnants, then he will help defend NCR citizens and refugees while they flee. Unfortunately, an NCR ranger will identify his Enclave armor. Arcade will be arrested, tried as a war criminal, and will be imprisoned indefinitely. If you side with the legion, advise the remnants to help the NCR, and advise Arcade to stay with the followers, then Arcade helps some people escape with enough supplies. A legion explorer sees Arcade help the locals, and his superior will hunt Arcade’s group down near westside. There will be no survivors. If you side with Mr. House and advise Arcade to return to the followers, then he will be outraged at Mr. Houses plan. He will then go back to NCR territory and worked happily as a family doctor. If you side with Mr. House and advise Arcade to aid the Remnants, then Arcade will be proud to have helpped defend Hoover dam, but will be saddened by the lost of liberty in the area. Arcade then leaves the Mojave Wasteland and is never heard from again. 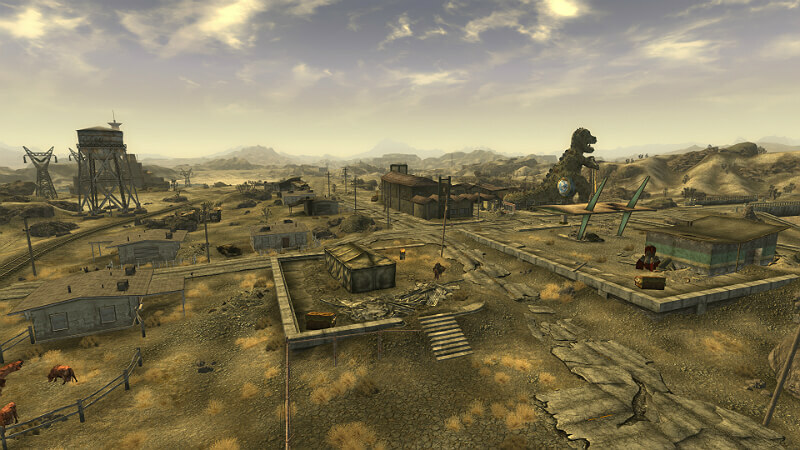 If you side with Yes Man for an Independent New Vegas and advise Arcade to help the remnants, then he will be proud to help defend Hoover Dam, and prouder still to see the area freed from NCR and Mr. House’s Rule. While it wasn’t all he had hoped for, he used his Enclave technology to keep order wherever he could. If you side with Yes Man for an Independent New Vegas and advise Arcade to stay in freeside, he will help the locals govern themselves, even though New Vegas wasn’t all he had hoped it could be. However, there are more endings! If you work for the Legion, the quest Et Tumor, Brute? will allow you to sell Arcade into slavery to be Caesar’s Doctor. If you sell Arcade into slavery, and Caesar lives, then Arcade will be Caesar’s Physician for several years. He will spar with Arcade and grow fond of speaking to an educated and Intellectual man. But eventually, Arcade won’t be able to take it anymore, and will take a surgical scalpel with his bare hands and committed suicide. Caesar won’t able to save him, and will mourn his death for months. If you sell Arcade into slavery and Caesar lives, then kill Caesar afterwords, then Arcade will become the physician of Legate Lanius. However, Lanius didn’t have the same needs Caesar did, and will grow tired of him, and will have Arcade crucified. If you sell Arcade into slavery, and then switch allegiance (probably Independent), then Arcade will be killed during the legion’s retreat. He will be heaped with many others in a nameless ravine on the Legion’s long march home. And, of course, you can also just kill Arcade Gannon yourself. Goodsprings is the small town you start in. This ending is mainly war-based, meaning who you side with is the only factor. NCR: Goodsprings saw more trade, but the crippling taxes came with it. Some people are unable to pay those taxes and have to move on. 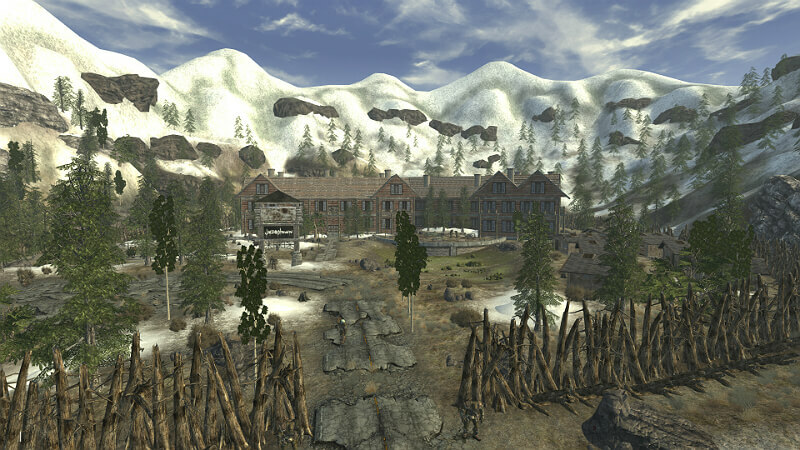 Caesar’s Legion: Goodsprings is overlooked by the Legion, due to it being preoccupied by several other places. Some citizens moved on, fearful of Caesar’s Shadow. Only the old and stubborn remain. Mr. House: Mr. House sends a securitron as a token of gratitude for helping the Courier. Victor’s a mixed blessing though, as he monitors the town for Mr. House. Independent: Goodsprings thrives, more travelers stop by goodsprings, and the locals prospers frm the traffic. Of course, you can also complete Run Goodsprings, Run, or kill everybody there. They both give the same ending. Cass is a caravanner at the Mojave outpost. Her caravan has been destroyed, and she can’t leave. You can accquire her as a companion if you buy her caravan from her for the Crimson Caravan Company, or start Heartaches by the Number. Cass has, by far, the longest ending slide in the main game, simply due to the fact that they had so much to say about Cass’s end, that they split it into two slides. 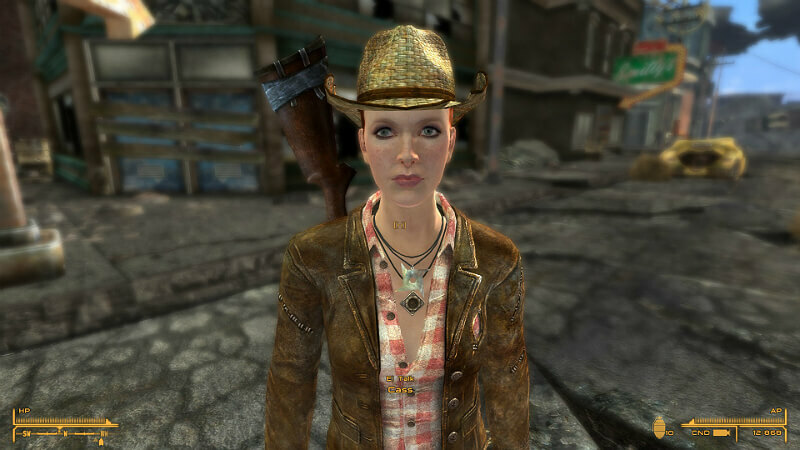 Unlike most companions, once you buy Cassidy Caravans from her, you automatically gain access to her personal quest by talking to her, which is Heartaches by the Number. 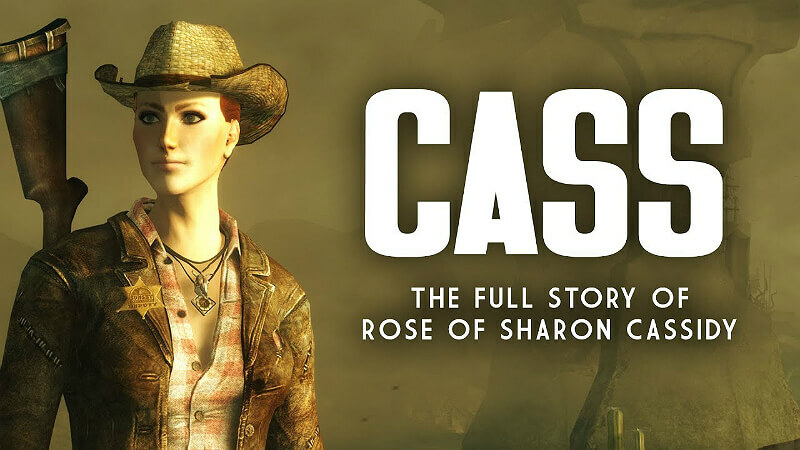 If you choose to tell Cass to leave the Mojave and head back west, she will live for 30 more years, in a shack outside vault city, and will pass away, the rose pendant still around her neck. If you choose to murder Alice McLafferty, and Gloria Van Graff, then the NCR will suffer as a result, causing no end of trouble back west, as two major supply lines suffered. If you choose to present evidence of the plot to the NCR, they will blackmail the Crimson Caravan and Van graffs, enacting strict trade laws with little resistance. This strengthens their supply in the mojave. According to the Wiki, there is another bit added on, but I have yet to see it. Apparently, if you steal the Gun Runners Manufacturing Specifications, and present evidence of the plot to the NCR, then this will be added on. The Van Graffs and Alice are removed from their position in the East. During their movement back west however, raiders wiped them out with advanced weapons and military tactics. No cargo is taken, and when asked, the gun runners denied any involvement. And, as always, you can just kill Cass as well. This second phase of Cass mainly has to do with your side in the war. If you side with NCR, it will be longer. NCR: Cass survived to see the NCR flag high and proud over Hoover dam. She thought that this is what a hero must feel like. She was about to tell the Courier not to get too proud, then figured he/she already knew that. If you completed Heartaches by the Number and are a male courier, this is added onto it. She walked across the dam at night. As she did, she felt drunk, content, and happy to be alive, which to her was the whole point of it all. If you didn’t complete Heartaches by the Number OR are a female courier, this is added onto it. She laughed and raised a bottle to the dam and those who fought for it. As far as she was concerned a bad hand can play out in the end, as long as someone/a woman like the courier was holding the cards. Cass lived to see the legion’s mark on Hoover Dam. Cass remained silent, uncertain of what was next for the west. She found Hoover Dam difficult to be seen as anything but the gravestone for the Mojave, and everyone in it. Cass lived to see the courier bring down three armies, which to her count, was three more than she’d expected. She kept quiet about that though. Killing Cass causes this slide to be absent, as it has no effect. The Great Khans are a tough bunch, who only induct people into their ranks by nearly beating them to death. Those who survive are truly Great Khans. Recently, The Great Khans have been working with Caesar to reclaim their lost glory, ever since the incident at bitter springs. The quest required for most of this is Oh My Papa! If you choose to tell the Great Khans to break ties with Caesar, and you support the Legion, then Caesar will ruthlessly hunt down the Great Khans, and Caesar forbade their name to be mentioned. The Great Khans were forgotten. If you choose to not have the Great Khans break ties with the Legion, and you support the legion, then the Great Khans are forcibly integrated into the legion. The Sick and Elderly were killed, the women sold as wives, and the tribes identity was annihilated. While many Great Khans mourned the death of their tribe, many more were satisfied with their revenge against NCR. If you choose to not have the Great Khans break ties with the Legion, and you support the NCR, then the great khans get destroyed, and those few who survived moved into Idaho. However, if you break their ties with Caesar, without replacing Papa Khan, and tell the Khans, through a speech-check, to claim their own legacy, then they will evacuate Red Rock Canyon during the battle of Hoover Dam, and head into Wyoming. Then, with the help of the Followers, they carved a mighty empire out of the ruins. This ending is compatible with NCR, Caesar’s Legion, Mr. House, and Independent, and will override other endings if both conditions are met. If you break their ties with Caesar without replacing Papa Khan, and tell them that they have no true legacy, or side with Mr. House or an Independent New Vegas, then the Great Khans will have a suicidal last stand, where most of the tribe destroyed, and the survivors joining up with other gangs. And, of course, you can always just kill them all off. Jacobstown is a haven for supermutants and nightkin in the wasteland. Run by Marcus and Keene, Jacbostown is strongly defended. However, many humans hate super mutants, and want them destroyed, despite Jacobstown being harmless, if intimidating. The quest you need to focus on here is Guess who I saw today. If you complete this quest by passing the speech check, and the science check, or continue his tests on Lily, then a cure for the nightkin schizophrenia is found after the test concludes. Nightkin and super mutants flock to Jacobstown, and truly becomes a haven where mutants could find peace. If you complete this quest by failing the speech check, yet passing the science check, or continue the tests on Lily, then a cure will eventually be found, but Keene will run away, taking most of the nightkin with him, and the cure came too late. Jacobstown will never truly prosper. If you complete the quest by passing the speech check, yet failing the science check, or ignore it, and not continue the tests on Lily, then, a cure will eventually be found, taking longer than anticipated. Keene’s prescene persuaded many nightkin across the wasteland to come to Jacobstown, and Jacobstown will prosper, becoming a fair – if intimidating – place to trade or do business. If you fail both the speech check, and science check, or end the tests, then the nightkin leave Jacobstown, and attack people all over the wasteland. Jacobstown was hated on many times over, and in the end, Jacobstown was abandoned, its existence forgotten. And, of course, you can just kill them. Lily is a nightkin staying in Jacobstown. She herds bighorners, and during the quest Guess who I saw Today, Lily becomes recruitable, and she will help you look for the source of the Nightstalker mutations. Like every other follower, Lily has her own personal quest called Lily and Leo. It’s rather difficult as it is unmarked, and requires many different things to happen in order to trigger it. You must ask her about Leo. You must have witnessed her taking medication. Usually, she says something, but it is unknown exactly when she takes it. Once she does, a new dialogue option shows up, asking her about her medication. A pro-tip is to have her as your follower no matter what, doing whatever, and then check in every once in awhile. She doesn’t always have to say something, you merely need to ask her about her medication. Recommend she take the complete dosage, which will cause her mind to have clarity, at the cost of completely forgetting her grandchildren, and throwing away the recording, no longer remembering its significance. Recommend she continue taking the half dosage, which will cause her mind to remain confused, but she still remembers her grandchildren. She will also part ways with the courier, seeking the remnants of her past. Note that you don’t have to complete this quest to get this ending, as it is the default ending. Recommend she stop taking her medication all together, which causes her instability to get worse and worse every day. She eventually became little more than ravening beast, the grandmother she once was buried beneath her rage. And, as always, you can just kill her. 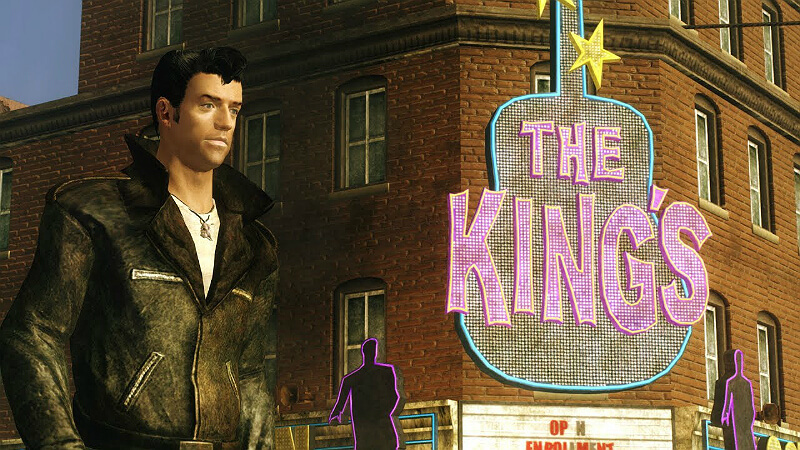 The Kings are a gang of Elvis Impersonationists in Freeside. They usually keep law and order, and are good to the people of Freeside. 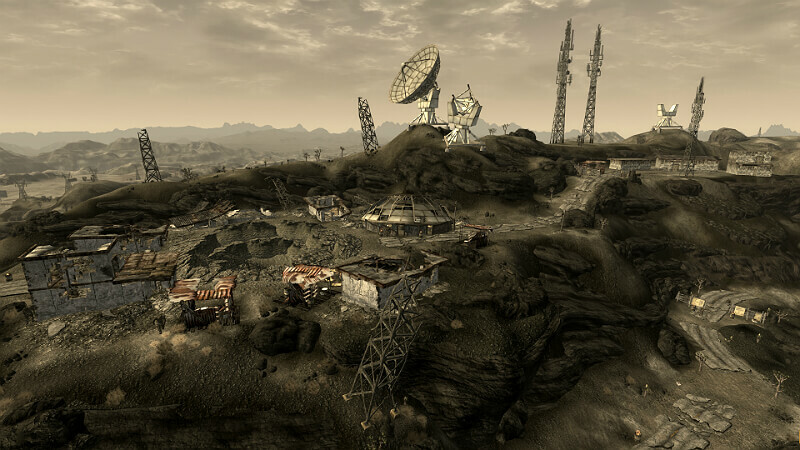 However, the NCR has many refugees and squatters in Freeside that the Kings do not like at all. This has created hostilities between the two, and could blow up in an all-out war. There are two quests you need to focus on: G.I Blues, which you get from talking to The King, and (If you are working for the NCR), Kings Gambit. During the events of G.I. Blues, you can either ease hostilities between the two, or start an all-out war between the two. Regardless of what you do, you get a favor from the King. It is advised that you keep this favor until Kings Gambit, as it will come in handy later. If you ease tensions between the two during G.I. Blues, end violence between the two during Kings Gambit, and then side with the NCR, then the temporary truce becomes a full-scale relief effort for both freesiders, and NCR squatters. The NCR will repeatedly advise that Freeside join the Republic, the Kings maintain their indepence. If you ease tensions between the two during G.I. Blues, end violence between the two during Kings Gambit, and then side with Mr. House, then Mr. House will force their removal, and will destroy them to the last with the securitrons. If you ease tensions between the two during G.I. 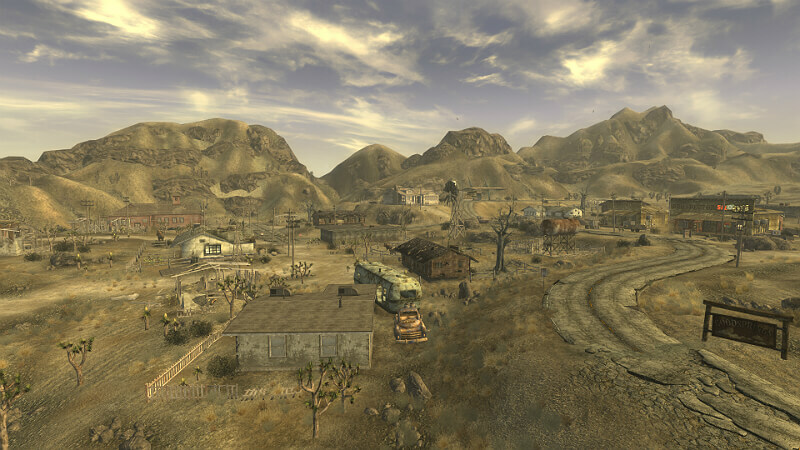 Blues, end violence between the two during Kings Gambit, and then side with an independent New Vegas, then freeside will become more stable than the rest of new vegas, and, ironically, the NCR refugees find Freeside safer than the rest of New Vegas. If you ease tensions between the two during G.I. Blues, end violence between the two during Kings Gambit, and then side with Caesar’s Legion, then the legion will put down all resistance. Once Caesar’s Legion finds out about the Kings relationship with the NCR, Caesar’s legion destroys them. If you start a full-scale war between the two during G.I. Blues, and then side with the NCR, then the kings attack NCR citizens and soldiers. Once the NCR moves in, they send a full platoon to sweep the Kings out of freeside, with few survivors. If you start a full-scale war between the two during G.I. Blues, and then side with Mr. House, then the kings attack NCR citizens and soldiers. Once Mr. House moves in, he sees the Kings actions, and looks at them favorably, as a show of loyalty. Mr. House decides to leave them alone. If you start a full-scale war between the two during G.I. 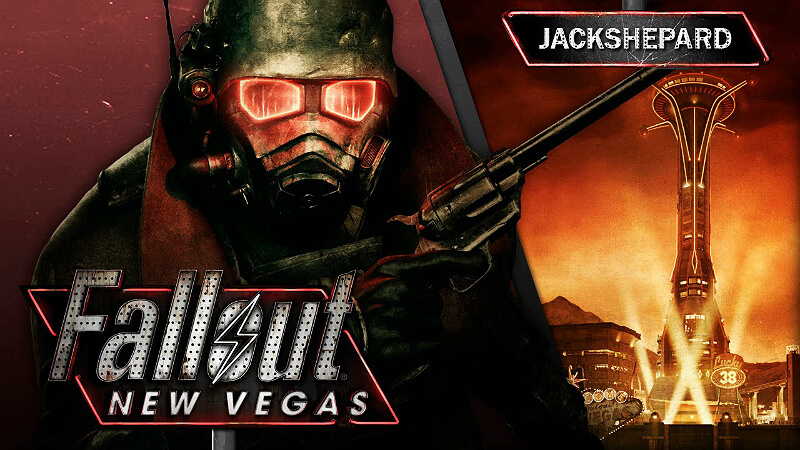 Blues, and then side with an Independent New Vegas, then the kings will viciously force all NCR citizens out of freeside. NCR travelers quickly learned to avoid Freeside, if they valued their safety. If you start a full-scale war between the two during G.I. Blues, and then side with Caesar’s Legion, then Caesar will be impressed with the Kings attacks on the NCR. Caesar offers them the option of assimilation into the Legion. The kings refused and became slaves, briefly. The kings, after a failed escape attempt, were all put to death. If you don’t complete G.I. Blues, then side with the NCR, then things remain tense between the two, but the kings were still in nominal control of the area. If you don’t complete G.I. Blues, then side with Mr. House, then Mr. House will take over freeside. Fighting breaks out, and the securitrons kill off the kings to the last man. If you don’t complete G.I. Blues, then side with an Indpendent New Vegas, the Kings will favor the needs of the locals, and tolerate the citizens of the NCR. If you don’t complete G.I. Blues, then side with Caesar’s Legion, then Caesar will kill off the kings while moving through freeside. 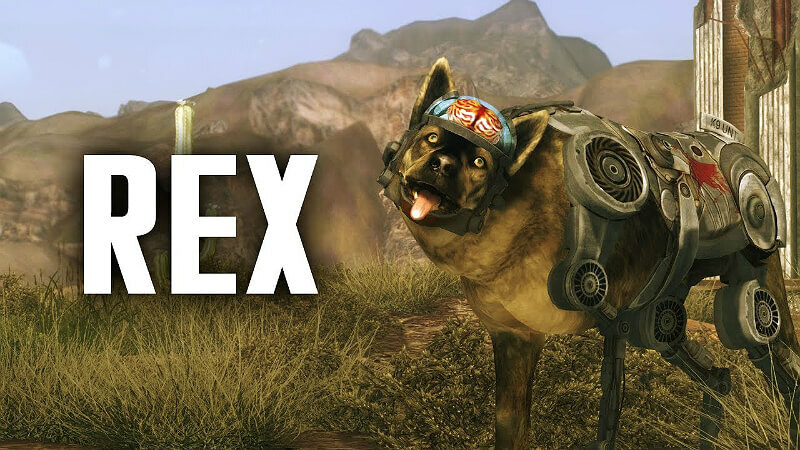 The King, leader of the Kings, has a cyberdog named Rex. Rex is not feeling good, due to a bad brain, and, after completing G.I. Blues, you can help fix him. Rex will become your follower. Like all followers, Rex has his own personal quest, and is one of the easiest, as it’s fairly straight forward, not requiring many special conditions. Violetta, one of the fiend dogs, has a suitable brain for Rex. Violetta can be found guarding Violet, and during three-card bounty, you can get this brain rather easily. If you do this, Rex will eventually learn to balance his old life experiences with his life with the Fiends. Rex’s mind will have difficulty adjusting, but will come to peace with his new, vicious self. Lupa, one of the Legion dogs, has a suitable brain for Rex. If you killed off everybody at the fort, you can just pick it up off Lupa’s corpse. However, if you are working for the Legion, you can fight Lupa in the arena. If you do this, Rex’s brain will adjust quickly, with all of the legion memories he had, with Lupas. Rey, one of Old Lady Gibson’s dogs, has a suitable brain for Rex. You can pay Old Lady Gibson 700 caps for it, or persuade her to give it to you for free. If you do this, Rex will have difficulty adjusting, but will settle peacefully with his old memories, and those of long travels with Old Lady Gibson. Or, if you don’t complete this quest, Rex will die abruptly, shutting down forever one quiet morning, after two centuries of life. And, of course, you can just kill him. The quest you have to focus on here is Flags of Our Foul-Ups. O’Harahan says their “Human Niceness” is what’s causing all of this, as nobody co-operates or talks to each other. Convince them all to work together. Mags says that they need some more training. If you have enough experience with guns and explosives, you can help them pass their much-needed test. If you choose either of these two, you will get the same ending, if you choose to side with anyone other than Caesar’s Legion. They will be shaped up, and fight valiantly at Camp Golf. Mags will be promoted to Sergeant, and the rest of the Misfits will receive an official commendation, and will serve with distinction for many years. If you chose either of these two and sided with Caesar’s Legion, then, although Camp Golf fell, and the Misfits were destroyed, they disitinguished themselves, and were recognized for their valor by the NCR. Razz says that they need some chems to help them: Psycho. If you get enough, or talk to Jack in Red Rock Canyon Drug Lab, you can deliver some Psycho to Razz. If you do this, regardless of what side you choose, the Misfits are driven into a frenzy by the Psycho, inflicting heavy casualties on the legion, and, at first, were commended for their valor, but eventually, they desperately needed more, and turned on travelers in Outer Vegas. For this, the NCR court-martialed the misfits, and executed them by firing squad. Poindexter can be suggested that you can cheat the results. Should you do this, the Misfits will flee Camp Golf, and attempt to head back west, but were caught at Mojave Outpost, Court-Martialed, and hanged from the ranger monument. You’ll get this ending if you don’t complete this quest. And, as always, you can just kill them. Novac is a small town, that lives on junk salvaging and trading. They are very poor, yet enjoy the quiet life. Recently however, there have been threats on either side of the town: the legion from the front, and a cult of religious and feral ghouls from the rear at REPCONN. The quest you need to focus on here is Come Fly With Me. This quest, while technically a side quest, usually is completed to get information about Benny and the Great Khans, and goes along with the main quest. You must clear out the ghouls from REPCONN, but how, exactly, is up to you. If you kill Jason Bright, the Bright followers, and the feral ghouls at REPCONN, then Novac will fall to the legion during it’s attack, with no communities able to back it up. If you complete this quest by successfully launching the rockets, regardless of whether you improve the navigation or not, and side with anyone other than Caesar’s Legion, then many in Novac will die during the legion’s attack. However, several bright followers will return to Novac to restore its defenses, and allow it to remain independent of NCR. If you complete this quest by successsfully launching the rockets and improving the navigation of the rockets, and side with Caesar’s Legion, then the Bright followers will return from their pilgrimage, and assist in the evacuation during the legion’s attack. Novac will eventually fall, but many of its citizens escaped, alive and intact. If you complete this quest by sabotaging the rockets, either by mixing the fuel with sugar bombs, or setting the rockets to crash into each other, then although the rocket explosion appears to be a boon to Novac, radioactive fuel seeped out and contaminated the area. Salvagers were forced to move on, and the town was abandoned. If you did not complete the quest Come fly with me, then many citizens die during the legion’s attack, and, in the weeks that followed, feral ghouls overflow from REPCONN, and ravage the weakened town. And, of course, you can just kill everybody off. Boone is a sniper in Novac. He works nights and hates the legion more than anything. His wife was kidnapped by the Legion, and he wants you to help him find out who did it. Once you do this, he becomes your follower. Like every other follower, Boone has his own personal quest, his called I forgot to remember to forget. This quest is rather difficult, as it almost always requires you to become an enemy of the legion, which in turn causes you to become hunted down by Legionary Assassins. If you are an enemy of the NCR, or an ally of the Legion, Boone will not talk to you. 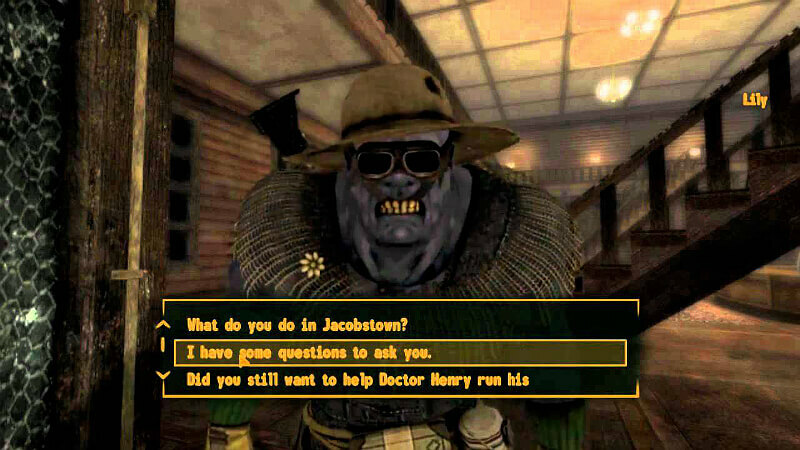 There are many triggers to this quest, but Boone requires that you acquire 5 history points, AND that you talk to Manny Vargas in Novac or Bitter-Root in CampMcCarran (Or Camp Forlorn Hope, if Three-Card Bounty is completed). Ask them about their tour. During the quest I Put a Spell on You, If you confront and kill the spy in act: +1 point. If you disarm the monorail bomb but do not confront and kill the spy, +1 point. You cannot gain both of these simultaneously. If you kill Caesar: +2. Be warned that if you kill Caesar, you cannot join the legion. During the quest Back in Your Own Backyard, if you save the hostages: +2, if you kill the hostages, +1. It is possible to get all three by saving the hostages, talk to boone and run through his dialogue, then kill one of the hostages to get a bonus point on top of the +2. During the quest Eye for an Eye at camp searchlight, if you eradicate the legion, +2. You don’t have to do all of this, merely enough to gain +5. If you have already done some of these things without Boone witnessing it, Boone will not count these toward the total, and, if too many are completed without Boone witnessing it, starting this quest may become impossible. Once you talk to Manny Vargas or Bitter-Root about their tours, bring up Bitter-Springs with Boone and you’ll be on your way. At the end of this quest, you can make Boone make amends for his past, or make him vengeful over it. This decision will only affect the ending, not Boone himself. You side with the NCR, then he will join up with First Recon again, and although his regrets remain, they coalest into a purpose, and Boone embraces it. He will spend his leave time hunting down slavers in the wasteland, his NCR Beret the last thing they never see. 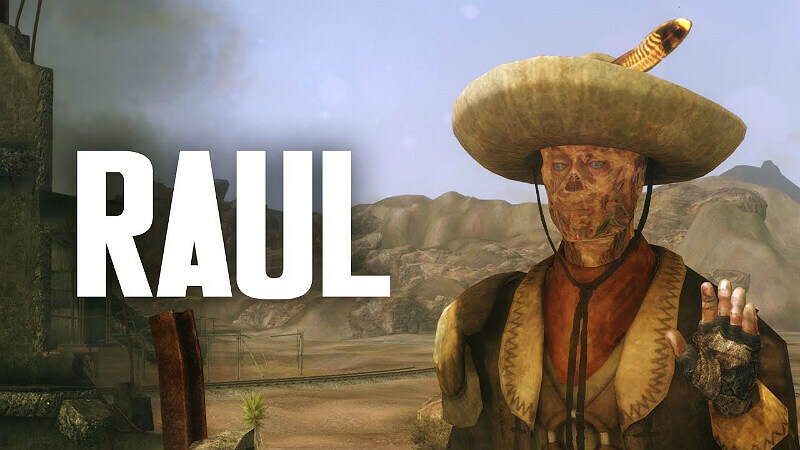 You side with Mr. House or independent New Vegas, then Boone will find work in new vegas as a bounty hunter or caravan guard. Although he wished he could’ve joined up with his old unit, he couldn’t abandon the town he’d met his wife. You side with Caesar’s Legion, Boone will be angered at the Legion’s success, and won’t take it lying down. Heading to the hills, he begins a deadly campaign, taking out high-ranking legion officers. The price on his head will rise to levels unheard of, but few will pursue it, fearing it will be the last thing they’d never see. 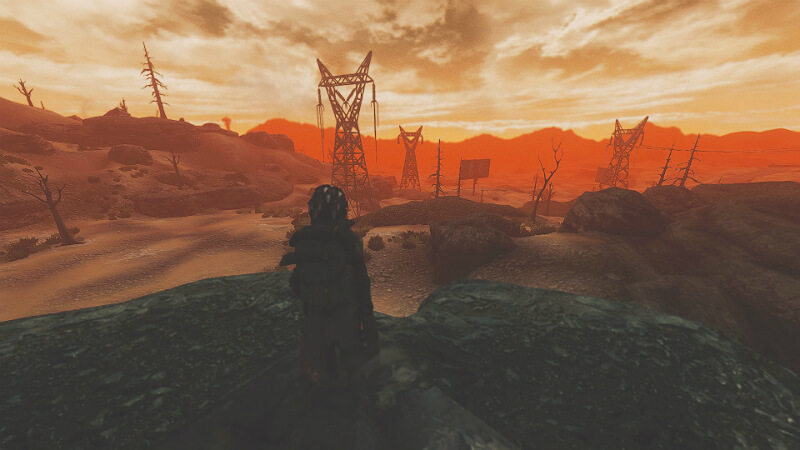 You side with the NCR, as boone suspected, revenge will never quiet his troubled mind. So, journeying back to California, he found the NCR officer who led the attack on Bitter Springs. There, with only two bullets loaded, Boone did the only thing he believed would put an end to his suffering. 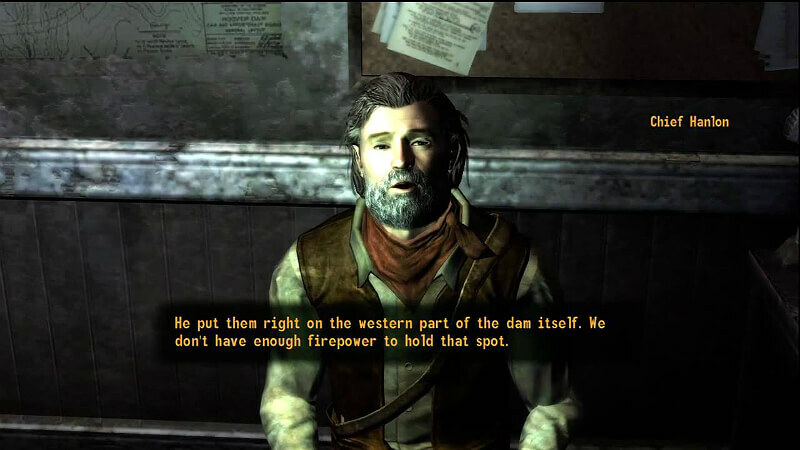 You side with Mr. House or Independent New Vegas, then Boone will become a mercenary and assassin, his conscience no longer holding him in check. No job was too violent, no target too innocent. As long as the caps were good, Boone would take the job. You side with Caesar’s Legion, then Boone, driven mad by Caesar’s victory, staged a suicide mission against the Legate. He fought as he wished he woud’ve on the day of his wife’s death. He was brought before the legate, after bringing down scores of legionaries. The legate expressed his admiration to Boone’s reckless abandon. Boone spat tobacco in the legate’s eye, for all Caesar’s armies to see. And, of course you can just kill him. The Powder Gangers are a group of criminals put in the correctional system for various reasons. They were used to repair and upkeep the rails and make more through the mountains using dynamite. However, some criminals, mainly Samuel Cooke, smuggled dynamite into his cell, and before the NCR knew it, the powder gangers broke free, blowing up everything they saw. Cooke left to go elsewhere, but many stayed at the Correctional Facility, this being the leading place for Powder Ganger Operations. This ending actually has no quests tied to it. All you need to decide is whether to spare their leader Eddie or not. If you spare him, and side with the NCR, then the NCR will turn its sites to the Correctional Facility. The Powder Gangers fight against the NCR, and those who survive await summary execution. If you spare him, and side with Caesar’s Legion, then most of the powder gangers fled into the wasteland instead of fighting against the legion. Those brave or foolish enough to stay were killed or crucified. If you spare him and side with Mr. House or Independent New Vegas, the NCR fails to take back the Correctional Facility, and as a result, powder ganger raids became an unfortunate fact of life in the wasteland for many years. Another group of Powder Gangers, led by Samuel Cooke, went north after the prison break. 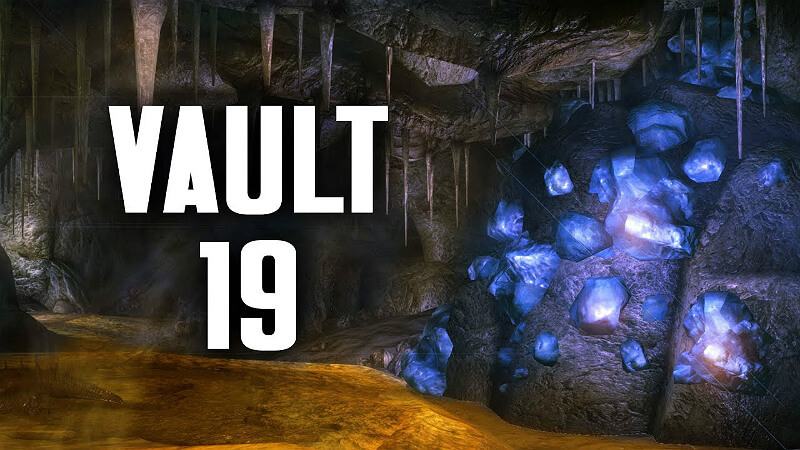 They inhabited Vault 19, and need help harvesting the sulfur down there, due to a large amount of fire geckos. However, you get an alternative. 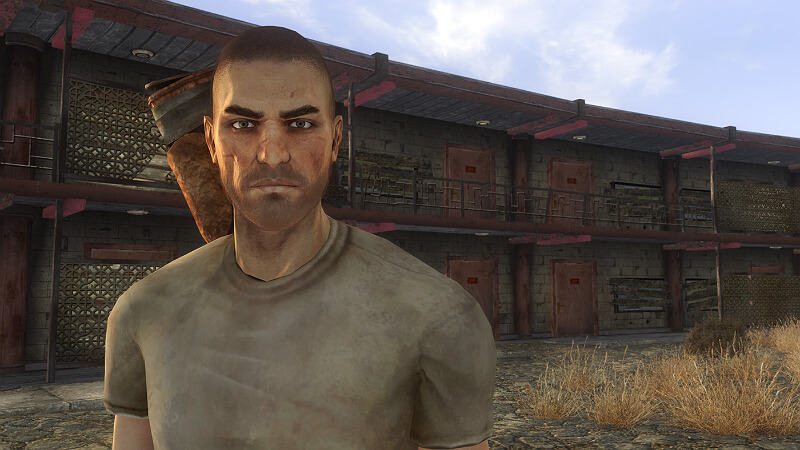 Philip Lem, resourceful during the prison break now wants the powder gangers to turn themselves in to the NCR. The quest you focus on here is Why Can’t We Be Friends? It would be a wise idea to talk to both Cooke and Lem to get both the door card keys. If you complete this quest for Lem, and turn the powder gangers into the NCR, then they will be re-incorperated into the correctional system. 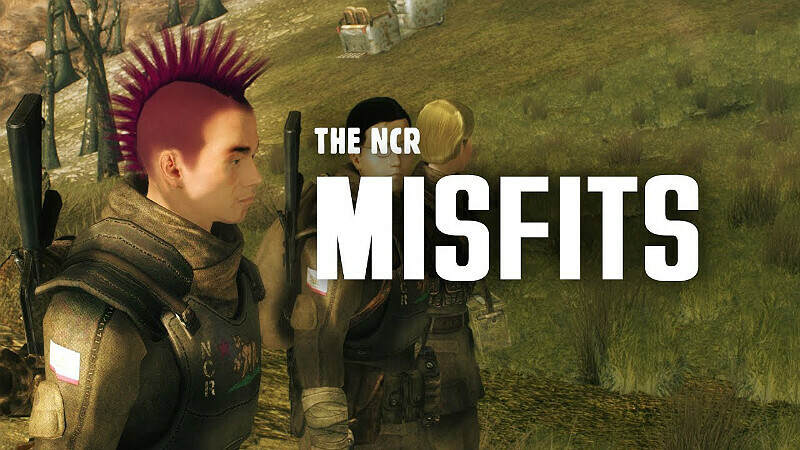 The NCR increased their sentences, and aren’t about to take time off for good behavior. If you complete this quest for Cooke, or convince Lem to join the Great Khans, then the majority of the Powder Gangers join the Great Khans, and the weaker members scattered throughout the wasteland. A few convicts managed to erase their pasts, but most never survived the journey. If you don’t complete this quest, or blow up the sulfur and vault 19, then the powder gangers, armed with a wide array of explosives and stolen weapons, began tormenting the wasteland for years. NCR Citizens were favorite targets, and always suffered the worst fates. And, as always, you can always kill Cooke and Lem. 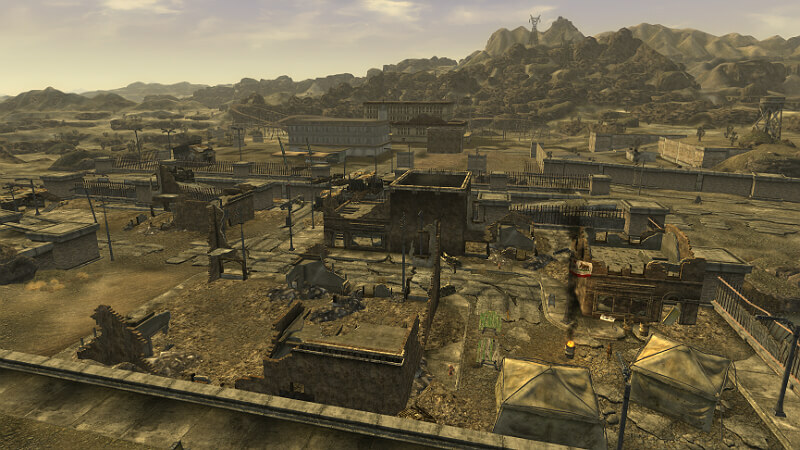 Primm is a large town that was prosperous and independent. However, with the recent prison break, the sheriff got assassinated, and the deputy was dragged off for ransom. The powder gangers torment and inhabit the town. Don’t think though that because you have friendly relations with the powder gangers at the correctional facility, they’ll be kind to you, or let you pass without a fight. Killing them won’t cause infamy to the other powder gangers. 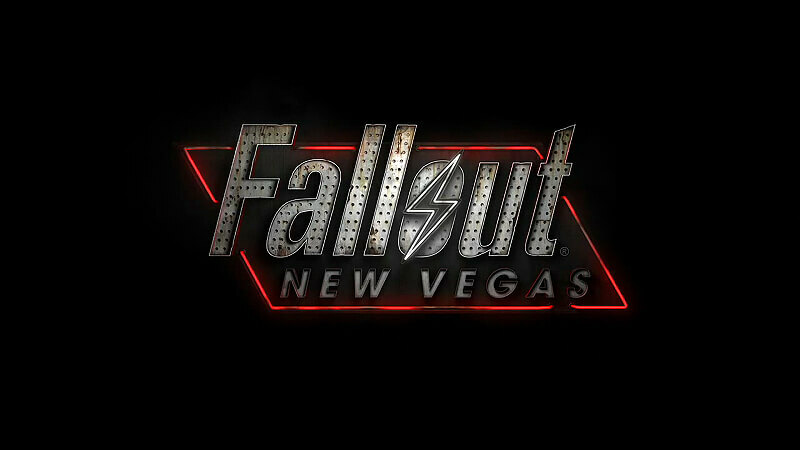 The NCR, who is nearby, Sheriff Meyers, who is at the correctional facility and wants nothing to do with the powder gangers, and primm slim, who is in the vikki and vance casino and museum. 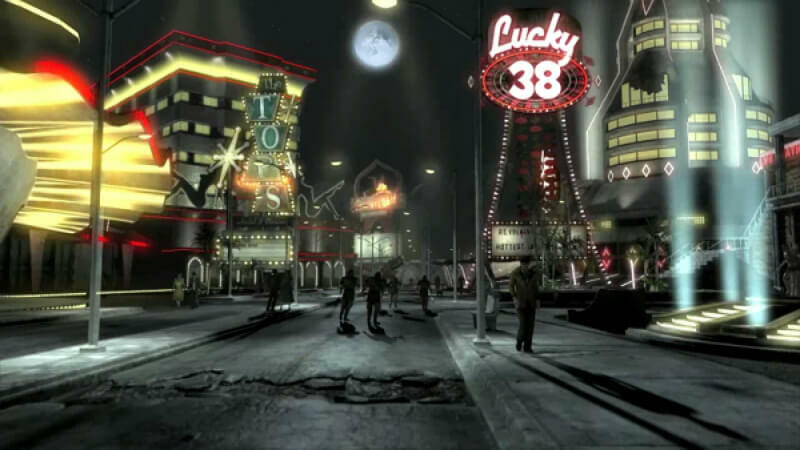 If the NCR takes over, and you side with the NCR, then the NCR will help rebuild primm, making it a major stopping place on the Long 15. Although Primm’s Citizens chafe under the taxes, they benefitted gratly from the increased protection and merchant traffic. If the NCR takes over, and you side with Mr. House, then the NCR will flee. Mr. House will then send Securitrons to “Protect” Primm and heavily tax it. If the NCR takes over, and you side with Independent, then the NCR flees, and Primm was the same as it was before you got a sheriff. If the NCR takes over, and you side with Caesar’s Legion, then the NCR flees, and the legion takes over. 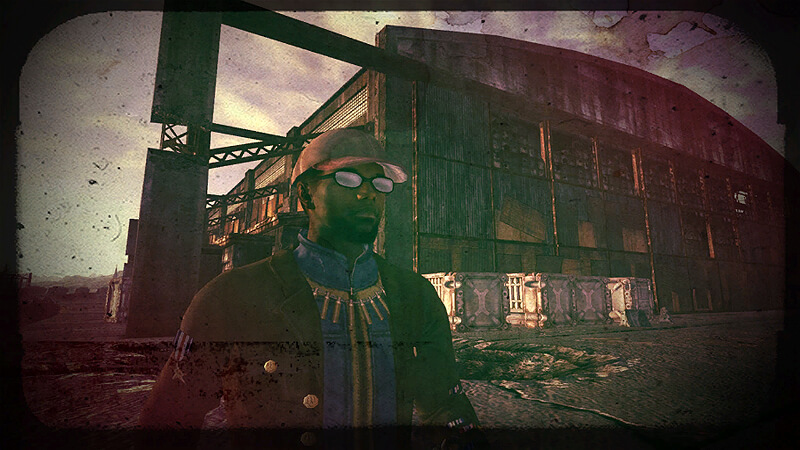 The legion keeps primm open for business, but is constantly watching the town. If Sheriff Meyers takes over, and you side with anyone other than Caesar’s Legion, then he runs the town his own way. He treats most fairly, but every once in awhile, someone winds up dead with little to no proof against them. If Sheriff Meyers takes over, and you side with Caesar’s Legion, then he decides to resist Caesar’s Legion to a standoff. Primm gets utterly wiped out. If Primm Slim takes over, and you side with anyone other than Caesar’s Legion, Primm Slim proves to be an able-minded, if not able-bodied sheriff for primm. Some crooks get away without a scratch, due to him being slow, but Primm prospers under his watchful, robotic eye. If Primm Slim takes over, and you side with Caesar’s Legion, Primm Slim valiantly attempts to resist Caesar’s Legion. ED-E is a broken robot in the Mojave Express HQ. He was dropped off by a courier at some point, and Johnson Nash wanted to use it, but he couldn’t get it working again. Note that this slide is narrated by ED-E, and is only a bunch of eletronic beeps, making it unintelligable. However, if you have subtitles on, you can hear the english translation, and the appropriate text will display. They don’t appear for very long though, so read fast. The quest you’ll need to focus on is ED-E my love. This quest requires that you activate two audio logs, which are activated by trigger words. While I don’t know what all of the trigger words. are, I can tell you some examples that work from time to time. Old Lady Gibson, NCR troopers outside the front door of HELIOS One, Doctor Henry, talking about his experiences in the Enclave, Ignacio Rivas at HELIOS One, when you talk to him about ARCHIMEDES, Knight Torres, Apprentice Watkins, talk about HELIOS One, Thomas Hildern, Colonel Moore when talked about the first assignment for the quest For the Republic Part 2, Michael Angelo, the medicine check, succeed or fail, Mr House, when talking about the Brotherhood of Steel, Quartermaster Mayes, when talked to during the quest Restoring Hope, and any Brotherhood of Steel paladins. Once the first audio log has been triggered, the player must wait five in-game days before the second log triggers. Listen to the Brotherhood Scribe (found in a classroom inside the Brotherhood bunker in Hidden Valley) teaching his class. Speak with Veronica Santangelo while on the quest I Could Make You Care, and again after accessing Father Elijah’s terminal. Interact with the members of the Brotherhood of Steel in Hidden Valley (the knight repairing a turret has worked on at least one occasion). When trying to gain the Brotherhood of Steel’s trust (without the help of Veronica), a keyword is spoken after getting rid of the NCR ranger in Hidden Valley. If enough trust has been gained with the Brotherhood, a scribe will give thanks and point out a footlocker containing energy weapon ammunition. Talking to the scribe again will trigger a keyword. Talk to Apprentice Watkins both about her parents and her decision, and ask her about all the computers. Talk to Doctor Hildern and Dr. Williams when starting the quest There Stands the Grass, and go back to Hildern after Williams told you about the danger in Vault 22 to trigger a keyword. Talk to Ignacio Rivas at Helios One during the quest That Lucky Old Sun. Once this has been done, wait another 2 in-game days and you should be contacted by the Brotherhood of Steel and the Followers of the Apocalypse. Which you go to is up to you. If you took ED-E to the followers, and had ED-E help you during the battle of hoover dam, then ED-E remained a vigilant and constant companion of the courier. The Followers of the Apocalypse cleared its memory logs and developed new ways to harness sunlight. If you took ED-E to the Brotherhood of Steel, and had ED-E help you during the battle of hoover dam, then ED-E remained a vigilant and constant companion of the courier. The Brotherhood cleared its memory logs and created a small army of duraframe eyebots. If you took ED-E to the followers and did not recover ED-E, or dismissed him as a companion, then ED-E is discovered by a caravan and use him for protection. The Followers of the Apocalypse cleared its memory logs and developed new ways to harness sunlight. 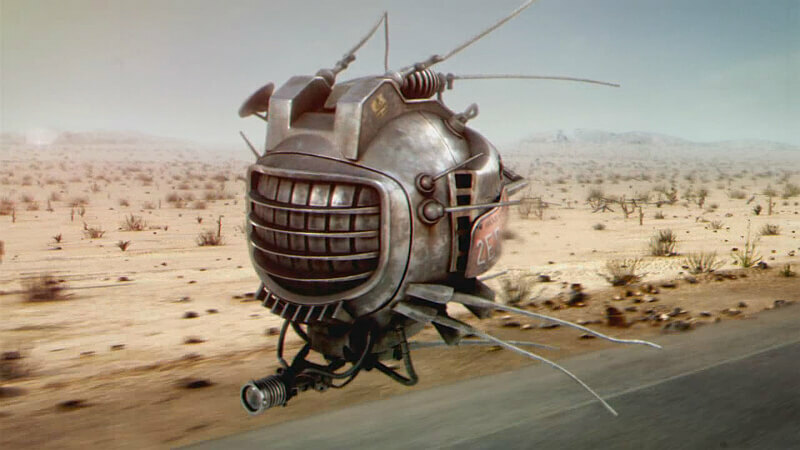 If you took ED-E to the Brotherhood of Steel and did not recover ED-E, or dismissed him as a companion, then ED-E is discovered by a caravan and use him for protection. The Brotherhood cleared its memory logs and created a small army of duraframe eyebots. If you didn’t repair ED-E, then he will eventually get repaired by another courier. ED-E is eventually discovered by the followers of the apocalypse, who clear its memory logs. If you repaired ED-E and didn’t complete the quest ED-E my love, then ED-E will travel with the courier until one of its memory logs is triggered, causing it to search for Navarro. ED-E disappears and is never seen again. And, As always, you can just kill him. The quest you need to focus on here is Return to Sender. If you don’t expose Chief Hanlon, and side with the NCR, then the NCR Rangers will enjoy their victory at Hoover Dam. Chief Hanlon stays out of the spotlight, and later steps down, as chief, and returns to his ranch outside redding. If you don’t expose Chief Hanlon and side with Caesar’s Legion, then Hanlon and the Rangers threw themselves into the path of the legion, dying to the last man and woman. Citizens denounce Oliver and Kimball, and the Rangers are revered for their bravery and sacrifice. If you don’t expose Chief Hanlon, and side with an Independent New Vegas or Mr. House, then Hanlon and the Rangers celebrate their victory, but it was short-lived, due to the courier. Chief Hanlon personally directed the evacuation of the rangers to Mojave Outpost. Bitter over the waste of life, Hanlon steps down as chief, and after a campaign of denouncing Oliver and Kimballs ways, Hanlon was elected Senator of Redding. If you expose the Chief, and side with the NCR, the Rangers distinguish themselves, but they fall into disarray afterward. Oliver is hailed as the NCR war hero, and the rangers were greeted coldly. Public and Political support for the Rangers quickly dwindled soon after. If you expose the Chief, and side with the Legion, then the NCR will debate who to blame for the loss. Some will blame hanlon for the loss of hoover dam and brand him a traitor, while others will say he was the only mind clear enough to see that holding the mojave was futile. If you expose the Chief, and side with an independent new vegas, or Mr house, then the rangers will distinguish themselves but fall into disarray afterward. Oliver is discredited for the loss at hoover dam, and the rangers were greeted coldly. Public and Political support for the Rangers quickly dwindled soon after. According to the wiki, you can actually convince Hanlon to stop, but I have yet to see it happen. You apparently have to tell him either that Caesar is dead, or that he is dying. If you convince him to stop, and side with the NCR, then Hanlon will abandon his plot, and the rangers fight admirably during the legions ill-fated attack. Chief Hanlon and Oliver are both credited for their leadership, but Hanlon quietly stepped down, and returned to his ranch outside redding. If you convince him to stop, and side with Caesar’s Legion, the rangers fight admirably, but are overwhelmed. While the other officers are evacuating, Hanlon stays behind to surrender. If Caesar is alive, Hanlon will be beheaded. If Caesar is dead, Legate Lanius will have him Crucified. If you convince him to stop, and side with an Independent New Vegas or Mr. House, the rangers fought valiantly. Though victory was snatched from the NCR, only Oliver is blamed. Hanlon, who was exhausted, stepped down and retired to his ranch outside redding. During the quest For Auld Lang Syne, you will be asked by Arcade Gannon to recruit the remaining members of the Enclave, who worked at Navarro. You can then asked the Remnants to aid a side during the battle at Hoover Dam. Like I said, the quest you’ll focus this on is For Auld Lang Syne. If you recruited the Remnants of the Enclave and side with anyone other than Caesar’s Legion, then the Remnants, as quickly as they appear, disappear. If you recruited them, and side with Caesar’s Legion and Caesar is alive, then the Remnants run off, and Caesar wisely leaves them alone. If you recruited them, and side with Caesar’s Legion and Caesar is dead, then the Remnants run off, and Legate Lanius sends many troopers after them into Arizona, losing hundreds and gaining nothing in return. And you can just kill them all off. Like Slide 1, nothing you do will change this slide, except what gender your character is. It will change it slightly. Slide 19: Implant Rey’s Brain. Slide 27: Don’t Expose Chief Hanlon, if exists, tell him to stop altogether, NCR wins.